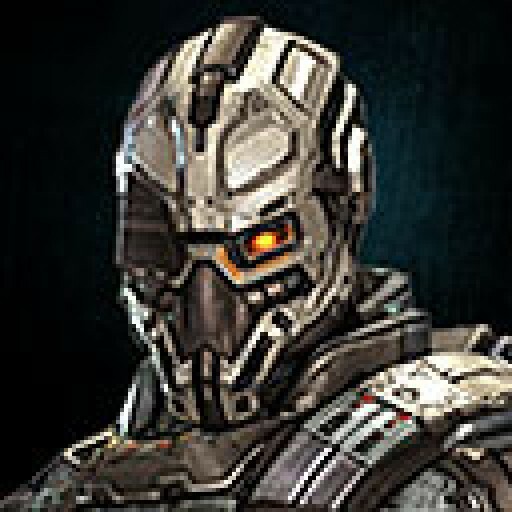 This post has been written from an ‘out of character’ perspective to discuss this weeks events within my alliance, the Ushra’Khan. By now, you might have seen this, and then this. By the time that first article was published, lacking on context as it is, events had already moved on far beyond the point of Ushra’Khan disbanding. The second article does get more of the facts, but its not very strong on perspective. Fair enough, it was written by someone who has never been a member of the alliance using second or third-hand information. So what qualifies me? 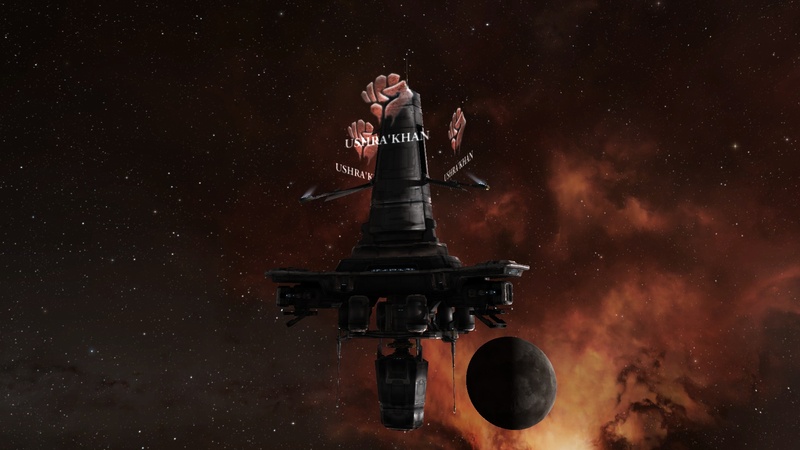 Well, Ushra’Khan is officially the oldest surviving alliance in EVE and was founded on 2004-11-25, and the records are vague for back when I joined the alliance but it would have been I think in early 2005 (very close to founding) with my very first corp The Friggin’ Masters (every other corp since has been a U’K corp, with a few months in FW with the U’K FW corp -K-S-). So, I have been a member of the alliance for a very long time, and for nearly all of it I was somewhere in the command structure. The last year has been a tumultuous one, but I’ll back up a bit before going into that. In December 2009 U’K was living in Catch, holding two constellations of sov living alongside Against All Authorities. U’K was up around the 1,500 membership mark at this point launching raids into ‘Amarrian Providence’ held by the CVA (traditional RP foes) and their power bloc of ‘Holder’ alliances and numerous affiliates. Provi was densely populated and the Dominion expansion had just been deployed along with its new sov system. When not doing the RP forever-war vs CVA & friends, U’K was supporting -A- with their other null sec campaigns. Despite whatever typical drama’s there might have been at the time, people generally regarded this as a good state of affairs balancing traditional RP goals (killing ebil slavers) with null sec game play. Then LFA, one of CVA’s Holder alliances, decided to claim some ‘sensitive’ space that -A- had dropped sov in to cut their Dominion-hiked sov bill (systems adjacent to HED-GP). This escalated with CVA declaring their (to be fair, RP-wise excellent) intent to remove U’K from our space in Catch. That unleashed a political fire-storm which saw CVA’s Providence dismantled for posing a threat to -A-‘s sovereign interests. Insert debate on Ushra’Khan’s significance in this campaign here, if you must. Fast forward a few months and we finally finish a long, long slog of capturing every last station in Providence. There are alot of stations in Providence. I personally do not think this job would have been seen to completion if it weren’t for the abnormally motivated presence of 1,500 Ushra’Khan members padding out endless structure-shoot fleets in order to fulfil an objective spanning several years (and more than a couple of old grudges). Pretty much any other entity would have grown weary long before then and made some kind of deal I think. At this point Ushra’Khan was left feeling like we had just kinda won EVE, faster and more definitively than we ever really expected to. And now the long-term problems begin. U’K is an RP-based null-sec alliance, and at this point just ran out of ‘relevant’ null sec objectives beyond just ‘hold some space in the name of freedom’. FW was not to see any iteration for about 2 more years and did not allow alliances anyway. Without a clear and perhaps more importantly evocative goal, and CVA for now ‘defeated’, the alliance began to lose inertia, active pilots, and found itself for a couple of reasons struggling with an awkward new political reality of living in ‘Fight Club’ Providence trying hard to not be ‘the new CVA’. An alliance hijacking happened a few months later (by a disgruntled and well-bribed head diplomat), we reformed as Damu’Khonde, had a few months in political hell and finally walked out of Providence to reform under the regained Ushra’Khan banner and left sov-holding behind for the next year. By this time the membership count was more like 400-500 from memory, as a lot of inactives were dropped and as corps came/went/died internally. The alliance then went road tripping across several regions, developed some truly emo-tastic internal conflicts between a few high profile members arguing over direction and found itself struggling to recruit effectively (not holding sov appeared to be an issue here). Welcome to July 2011. At this point Tempest Borne becomes the new alliance executor and the decision is made to get back into the sov game, even if there isn’t a strong RP basis to it other than possibly building up to going another round with the returning CVA in Provi someday. Not that there was much enthusiasm there, things were not ‘as they used to be’ in Provi. A group split off from the alliance soon after this to go do just that, but they only stuck around Provi for a couple of months before moving on to other areas. I had a conversation with Tempest when he took over, as I was CEO of our corp back then, that we would give it 3 months to turn U’K around and then re-evaluate our options. If the alliance should close was discussed back then, a year ago. We certainly made it past that 3 months. We hooked up with old allies Imperial 0rder and went to live on their couch in Omist. The internal conflicts came to a head and resolved, albeit messily, at this time and we get on with the Omist thing. Just as we were getting up to speed again, for the first time in awhile tbh, I0 selected a new executor who promptly disbanded their alliance and handed Omist to the DRF. Did not see that coming! This begins the cycle of find space and start getting settled only for something (often external to U’K) to go wrong a few months later, leading to a move, and another move, oh hey a key ally has apparently collapsed this region is about to get ROFL stomped…. After a year of uncertainty and the utter lack of vaguely secure space to be had, Ushra’Khan was running out of options to explore politically and in part that was due to dwindling and increasingly apathetic manpower. The more you relocate, the more weary people get. The weaker you appear, the worse the offers you can expect. Things finally came to a head this week. This month a plan to go live in Etherium Reach was hatched, began and fell through all in rapid succession. That was the final frustration and the alliance 2nd and 3rd in command both stood down to move on. It has been clear for awhile that the null-sec motivated parts of the alliance were fed up of the uncertainty and that there was another chunk of the alliance who just weren’t getting involved any more. It was the elephant in the room that the alliance was just not competitive in null sec any more and that this was not likely to change without something drastic. Tempest called for volunteers to replace the departing 2nd in command and received a very lack lustre response. With no-one else apparently coming up with any fresh ideas, this was when he sent out the alliance mail announcing his intention to close down the alliance, as it was no longer delivering the opportunities or play style that anyone really wanted. Stepping down probably would not have helped at this point, as there was no-one visibly prepared to step up with a better plan. It should be noted that he could have simply kicked all of the corps out at this point and have been done with it, if he had been so intent on ‘killing’ the alliance as some have accused him of. He did not do that. Instead he set out a planned closure which gave every corp and pilot a fortnight to make their decisions. He called time and as the only person stepping up to lead on the alliance level, made the call. And then things got interesting. There are a great many old timers within U’K that have been with the alliance for many years. And there is a huge amount of affection for both the name and history of the Ushra’Khan. This is when the so-called ‘coup’ plan came about. Tempest did misjudge one thing in this, and that was how the (up until now) largely silent and apathetic membership would respond to the notion of the Ushra’Khan ceasing to exist. I call the response ‘with fear and horror’. In a moment of unfortunate misunderstanding, two senior members of the alliance (Feanos and Emrys) decided that it was necessary to seize control of the alliance in order to prevent Tempest from pushing the disband button. The sad part is, in my opinion, if they had acted with a little more trust and a little less fear, Tempest would have handed the alliance over to them. Their plan was to strip the alliance back to its RP roots and move into the newly revamped Factional Warfare. They quietly and quickly moved to remove Tempest from control of the alliance and to end the threat of disbanding, which they felt he would do regardless. On balance, had Tempest phrased his mail a bit differently… well, who knows. I’m going to point out at this point that I consider all three of them to be friends, and understand where they were all coming from in this. In their own ways they were all trying to do right by the membership of the alliance. It is just very unfortunate that things unfolded as they did, and no-one is particularly happy about it. While Feanos and Emrys were acting to preserve the name, Tempest was attempting to release a lot of unhappy players from the guilt trip and uncertainty of leaving the alliance. People are very attached to and sentimental about U’K, there are plenty of people who felt relief and a sense of release by Tempests actions, and those who were dismayed by the whole thing. I started this post by pointing out my own length of service with U’K, which has been nearly all of my 8 year EVE career to date. I have been a senior figure within the alliance longer than nearly anyone else and deeply entwined with its history, both the good and the less than good. I believe that Tempest was right to put an end to the Ushra’Khan as a null sec entity, and stand behind him in making that call. It needed to be done. But I am glad that the name will be continuing in a new direction, and do hope that the alliance might be able to reconnect with its RP roots and find a new vitality. And I hope that everyone who is now moving on to new homes will find whatever it is that has been missing from their EVE lately. Traditions and history are good, but sometimes you need a fresh start. And sometimes, that can be a painful experience. This entry was posted in Out Of Character and tagged EVE-Online, Ushra'Khan. Bookmark the permalink. I’ve been in stasis for some time, but returning to read that U’K was to close did make my heart sink! I know KHAI was kicked for inactivity, it was to be expected, but I would hate to think U’K would be gone forever! Thanks Ugs for the update. join me and maggot .-( join mirkur. join FW in defiants legacy until we know for sure what shapes UK will be taking ..